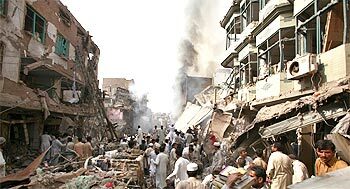 In one of the deadliest terror attacks in Pakistan, at least 95 people were killed and over 200 injured on Wednesday when a powerful car bomb ripped through a packed market in Peshawar. 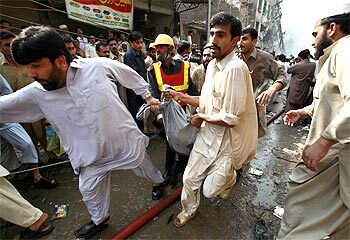 The deadly blast took place hours after United States Secretary of State Hillary Clinton arrived in Pakistan on a three-day official visit. 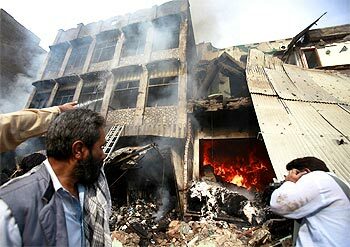 This is the worst terrorist attack in Pakistan in the last two years. The beleaguered country has witnessed a spate of terror attacks, allegedly masterminded by the Taliban, directed against its security forces, police and government officials. 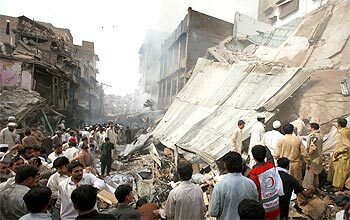 The blast pushed the death toll in Pakistan this year due to terror attacks close to 500.